Ask fellow campers about "Sage Valley RV" and nearby attractions. The day we arrived manager was rude. Restrooms was nasty and had black mold. Manager changed the pass code for women's bathroom, because she didn't want some people in the park to have it. She yelled about our dog crapping in the next lot over, and the lots are super small. It wasn't rented because had to be fixed. She yelled about everything possible. When we asked for a refund because a family emergency came up and we need to get back home, we were told HELL no. And when asked about the owners number or email, she told us she was the owner but the owner was here a couple a days ago. She is not a nice person. I would never stay here again. We camped at Sage Valley RV in a Travel Trailer. The lady was nice when I called ahead, but unfortunately the place was terrible. Site was tiny, but we fit. Smell was awful, and not sure what from. Toilets very dirty and no TP, with signs posted regarding gross misuse and threatening to close the restrooms if the misuse continued. Men's was already boarded shut. Speed dips that were way too much and rocked the MH terribly. Mostly full timers. We camped at Sage Valley RV in a Motorhome. Pulled in after 6 pm so office was closed. Had called ahead so knew spot was available. Price was well below last two RV parks we have stayed. Graveled flat pull-thru spots. Sites are arranged diagonally for easy entry and exit. 30 amp electrical service, sewer, and water. The restrooms, laundry room and area was dirty with built up scale. When using the washer or shower the water ran brown, did not wash clothes or shower. When the sun went down the cockroaches came out in droves. Near to Hwy 50 so constant traffic noise. Would not stop here again, better to stay in the Walmart parking lot and save the money. We camped at Sage Valley RV in a Motorhome. We arrived after a long, hot day. Were not in a mood to be too picky. Pulled in about 3pm. Office was closed, so we just picked a site. Park is old and designed for smaller rigs. Sites are level, narrow and short. Many of the campers have to park their truck in an empty space. In one site, the sewer connection is right in the middle of the neighbor's patio pad, barely 5 feet from their front door. 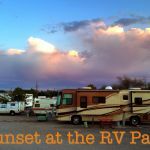 We camped at Sage Valley RV in a Fifth Wheel. Old, dingy park. Sites are so narrow we had to move twice to finally find a spot that our single slide out would work in. Thankfully the park was 3/4 empty so we could pick a spot Plus the length is so short on the slips that there is no way to park a truck in your spot; we parked in empty slip next door. Bathrooms are sooo small; can barely fit in the shower. Plus, was given wrong code and couldn't get correct code until the next day. I do have to say, it's pretty quiet for being on a main highway, but not a pleasant place to stay. Certainly no room or atmosphere to sit outside and enjoy an evening. A lot of full timers in old, unkept trailers living there as well. We camped at Sage Valley RV in a Fifth Wheel. This park has very small bathroom toilet stalls. No soap or towels, a blow dryer only. We had no problem with the manager. This is just a basic overnight RV park. We camped at Sage Valley RV in a Motorhome. This is an OK RV park if you don't mind the following: 1.Barn yard smells when the wind is blowing in the right direction - near by farm, dairy, ??? 2. Excessive traffic noise from highway 50 3. Cable TV - they have it but it does not work 4. Run down permanent trailers 5. Sites side by side - very tight fit for RVs with slides. We camped at Sage Valley RV in a Fifth Wheel. The sites are very narrow, we had trouble with our slide. On site management, very rude, always knocking on door for different reasons, your camper is too far back, you camper is too far up etc. We stayed here for 5 days, then finally moved to another location. Very strict rules about pets and children, cops were in there every day of our stay. I would not recommend this park to anyone. We camped at Sage Valley RV in a Fifth Wheel. This is an older RV park, right on US-50, and a very nice place for an overnight stay. The big old cottonwoods add shade and graciousness to this park. We'll stay again. We camped at Sage Valley RV in a Travel Trailer. Our over all impression of this park was that it was old, run down and being managed in a very lack luster manner. We expect much better in a Good Sam park. There were a lot of permanent residents in older, ill-cared for rigs. When we checked in the man in the office was indifferent and when I inquired about internet access (the ad in our Trailer Life Directory claimed "internet access available"), his only response was that the "system is down" for which he offered no explanation or apology. The site he put us in was extremely narrow and barely long enough for our 32' motor home and toad. Other rigs came in to the sites on either side of us and also had trouble getting into their spaces. We would not stay here again. We camped at Sage Valley RV in a Motorhome. Are you affiliated with Sage Valley RV ?